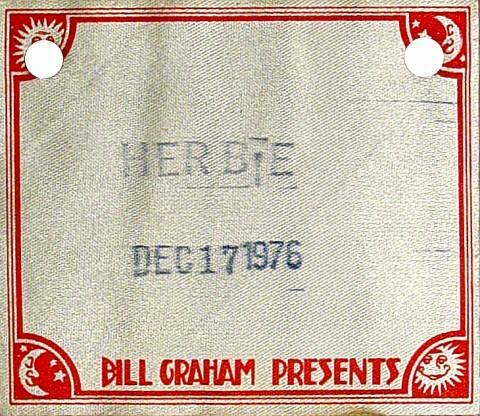 As part of 1974 Newport Jazz Festival's piano extravaganza in Carnegie Hall, Herbie Hancock brought along a few of his "toys" to augment his set. 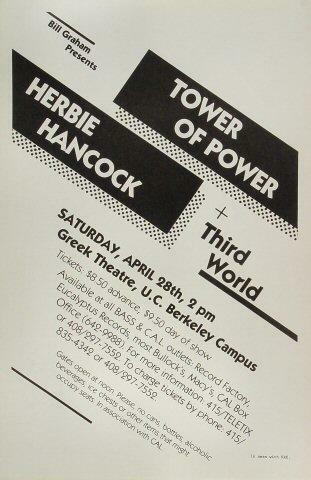 While Eubie Blake, Bill Evans, Teddy Wilson, McCoy Tyner, and Keith Jarrett all played the acoustic piano on this program, Hancock unveiled an arsenal of keyboards on stage, including a bank of ARP synthesizers, a Fender Rhodes electric piano, and his trusty Hohner D6 clavinet. These were new instruments at the time, representing the absolute state of the art in keyboard technology. 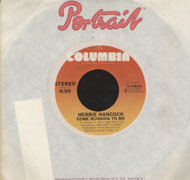 Hancock had already employed them on his groundbreaking hit album from the previous year, Head Hunters, and was preparing to explore them again on his eagerly-awaited follow-up album, Thrus<,/i>, which he would record in August of 1974. So at the moment of this Carnegie Hall gala, he was totally immersed in the vocabulary, tones, and textures of synthesizers and wasn't about to go leave his toys in the studio. Hancock performs two pieces from his 1965 Blue Note recording, Maiden Voyage. He opens with the title track of that landmark album on piano and begins by freely improvising before finally stating the familiar theme at the 2:30 mark. 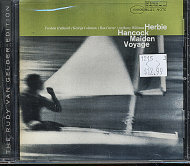 From there he extrapolates from the "Maiden Voyage" theme, one of the most memorable in jazz. Then at the 11-minute mark, while sounding a simple ostinato figure on the piano, he whispers into the microphone: "I'm going to sneak over to play electric keyboards and continue the composition, OK?" And what follows is another seven minutes of exploration on Rhodes and the ARP string synthesizer. His subtle use of delay on the Rhodes is particularly effective in creating a dreamy vibe on this highly evocative number. He begins "Dolphin Dance" on that same electric piano, which is treated with a touch of delay to enhance its glistening quality. Hancock continues to artfully re-harmonize and reinvent that beautifully buoyant theme through the 10:30 mark before switching over to pure ambient mode with a barrage of experimental textures and electronically-treated sounds from his arsenal of synths that pushes into the realm of avant-garde. By the 17:17 mark of this lengthy piece, Hancock triggers a synth bass ostinato (on a primitive looping device) and launches into strains of his funky, clavinet-fueled "Palm Grease," which would later appear on Thrust. He concludes his set with more sonic seasonings from the ARP Odyssey which leaves the audience in a stunned state of awe. 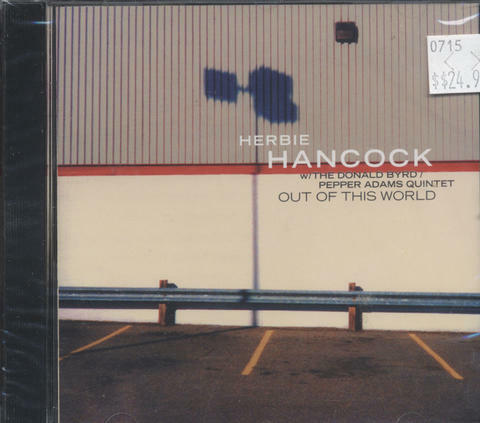 Like his mentor Miles Davis, Herbie Hancock has continued to reinvent himself over five decades of music-making. And like the title of one of his most famous recordings, "Chameleon," he has been changing his colors to suit a myriad of musical surroundings, shifting from straight ahead acoustic jazz to groundbreaking fusion, evocative soundtrack work, cutting edge techno-funk, and interpretations of modern pop standards. Born on Apr 12, 1940, in Chicago, Illinois, Hancock took up piano at age seven and by age 11 played the first movement of a Mozart piano concerto with the Chicago Symphony Orchestra. It wasn't until a friend introduced him to pianists George Shearing and Oscar Peterson that he became interested in jazz. 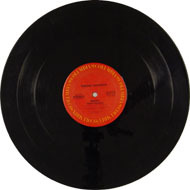 After studying electronics at Grinnell College in Iowa, Hancock was recruited by jazz trumpeter Donald Byrd, who brought the young pianist to New York in 1961 to record the hard bop album The Chant for Blue Note. 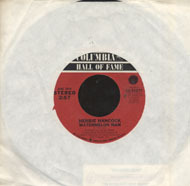 The following year, Hancock appeared alongside tenor saxophonist Wayne Shorter for the first time on Byrd's Free Form. In 1962, he also debuted as a leader in his own right on Blue Note with Takin' Off, which introduced his funky hard bop composition "Watermelon Man." 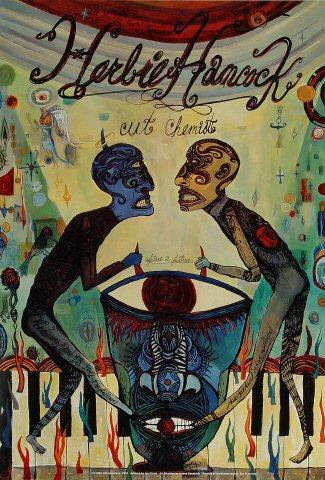 A cover version of the tune that same year became a smash hit for Cuban percussionist Mongo Santamaria. 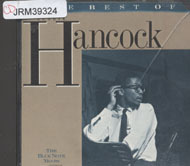 Hancock released a string of superb Blue Note recordings through the 1960s, including 1964's Empyrean Isle, 1965's Maiden Voyage, and 1968's Speak Like a Child. He joined Miles Davis' quintet in May of 1963, and remained with the group (alongside tenor saxophonist Wayne Shorter, bassist Ron Carter, and drummer Tony Williams) for five years, appearing on several classic recordings, including Seven Steps to Heaven, Four & More, My Funny Valentine, E.S.P., Nefertiti, Sorcerer, Miles de Kilimanjaro, and Miles in the Sky. 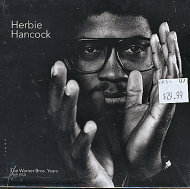 Although he had flirted with Fender Rhodes electric piano during his tenure with Davis, Hancock dove headlong into the new synthesizer technology as a solo artist, first on 1969's jazz-funk opus Fat Albert Rotunda and in an a more fully-realized sense on a trio of experimental sextet outings—1970's Mwandishi, 1971's Crossings, and 1972's Sextant. 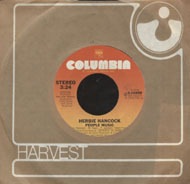 By 1973, Hancock paved a new path in funk-fusion with the groundbreaking Head Hunters, which sold in unprecedented numbers on the strength of the instrumental hit, "Chameleon." 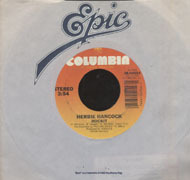 Hancock followed up with the rhythmically innovative Thrust in 1974 and the funky Man-Child and the live Flood in 1975 (all featuring his Headhunters band of saxophonist Benny Maupin, electric bassist Paul Jackson, drummer Mike Clark, and percussionist Bill Summers). 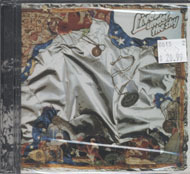 In the 1980s, the ever-evolving Hancock incorporated rappers, turntable scratching, sampling technology, and world music elements into cutting edge projects with bassist-producer Bill Laswell (1983's Future Shock, which included the MTV hit single, "Rock It," 1984's Sound System, and 1988's Perfect Machine). 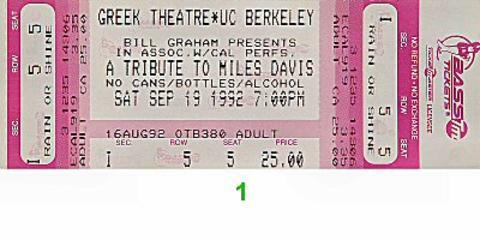 His all-star 1996 outing, The New Standard (with saxophonist Michael Brecker, guitarist John Scofield, bassist Dave Holland, and drummer Jack DeJohnette) took a jazzy point of view on a set of tunes by the likes of Peter Gabriel, Stevie Wonder, Sade, Paul Simon, Prince, the Beatles, and Kurt Cobain. 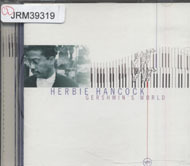 Hancock's Grammy-winning 1998 album Gershwin's World, released to coincide with the 100th anniversary of George Gershwin's birth, featured performances by Joni Mitchell, Chick Corea, Wayne Shorter, Stanley Clarke, and opera star Kathleen Battle. His experiments in fusing electronic music and jazz continued with 2001's Future 2 Future.